Distance from the house, especially the nearest bathroom or shower. During the winter months not having to walk for a long distance can be a real convenience. View from the tub. For gardens or patios with a view it might be worth the effort to elevate the tub and place it where there is an interesting view out of or within the garden. Visibility from the house. Being able to see the tub from inside the house can be a real benefit for families with children. How close the tub is to the seating and eating areas can be and issue. In loud and boisterous families, some distance can be totally nessecity. Shelter from winds. This is really important for electrically heated tubs that can not always keep up with the water surface cooling. With that said there may also be building regulations in your area that you have to take in a account, for example to do with the location, lid, fencing and the run off water. 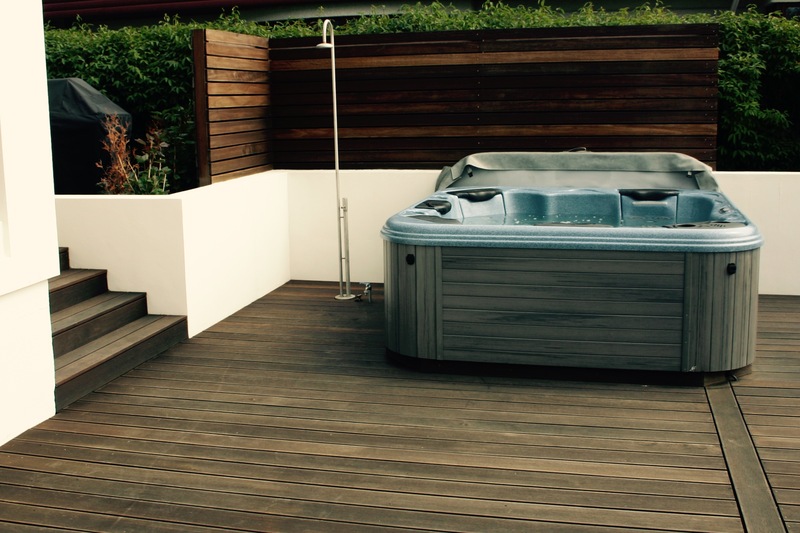 The following examples show a few ways of designing your hot tub areas. On this spacious deck the hot tub is partially screened from the living area making sure that raucous teenagers can’t splash water on enticing dishes served to the older generations. 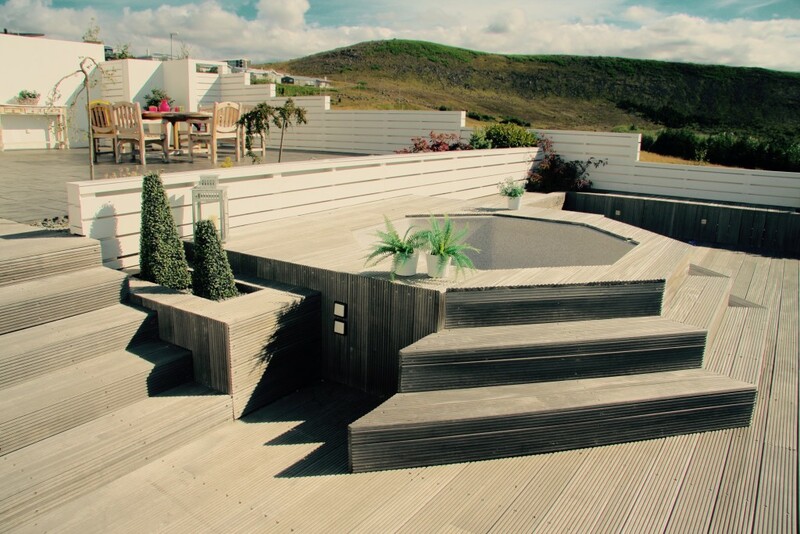 This may be an inspiration for those with views from their decks or patios. The hot tub is a bold centerpiece with high steps suitable for sitting, leading up to the edge of the tub. Fences are located so as not to ruin the views up to the hills or down the valley. If shyness is not an issue, this simple arrangement for a outdoor shower might just do the trick. 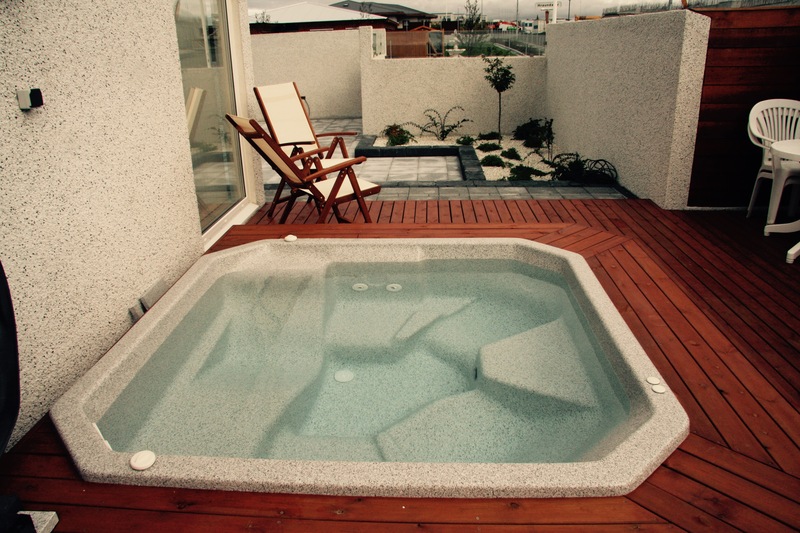 This tub is located right next to the house to get some shelter from cold northerly winds, but it also has a view of an interesting part of the patio. 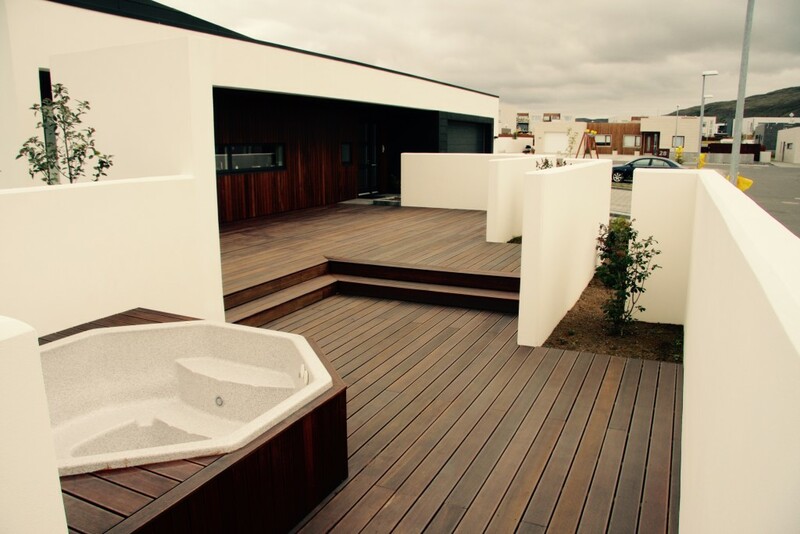 For gardens built on a few levels the option of the tub having its own level might be tempting. 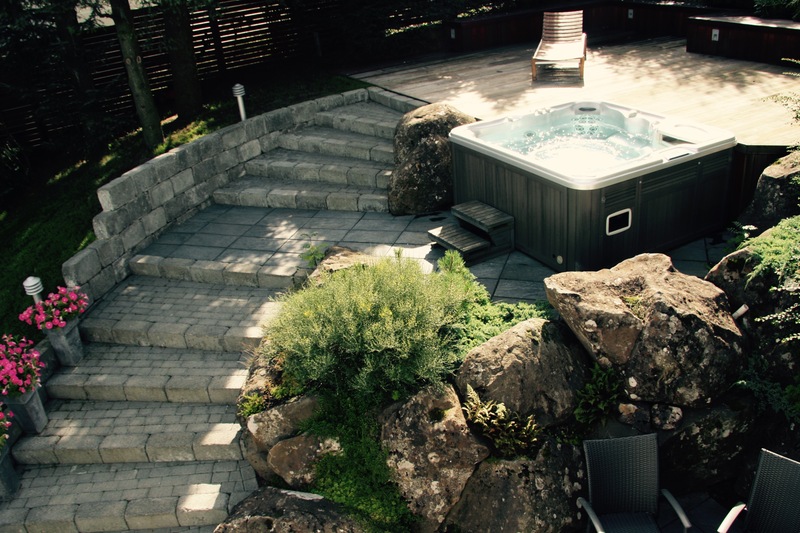 In this example the tub sits between large rocks, steps and a spacious deck. ← previous Driftwood style decks, are they the new norm?